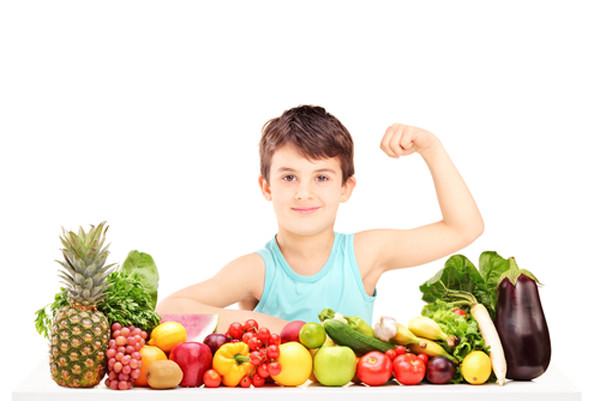 When it comes to your children’s diet, many parents may have a variety of questions. Many of these questions focus on how much fiber their kids should have, as well as what kind of benefits that fiber has. There are also a variety of other questions that a parent may have to ensure that their children are as healthy as possible. First, let’s address how much fiber your child should have on an average day. While the American Dietetic Association hasn’t established any standards or recommendations for children under the age of two, they do have guidelines for children over two. As a rule of thumb, parents should take their child’s age and add five to know how many grams of fiber he or she should have. It’s also worth noting what exactly fiber is and where you can get it. Simply put, fiber is plant foods that your body can’t digest or absorb. Because it passes through the body unchanged, it can help lead to a variety of different health benefits. Generally speaking, you can find fiber in the likes of fruits, vegetables, whole grains and legumes ( such as beans, peas, nuts). You can always check the ingredients in a product to see how much fiber it has, which can help you balance out your child’s diet. Because of the variety of sources that fiber can come from, you can plan out an interesting and balanced diet that your child can enjoy. At breakfast, for example, you can use a variety of whole-grain cereals that are high in fiber; whole-wheat bagels or English muffins instead of white toast can also have a significant impact on fiber levels. Lunch and dinner can include the likes of whole-grain pasta and bread, wild or brown rice or even a pizza with a veggie topping. Treats and snacks can also be tempting for your children, as there are a variety of different ideas to choose from. For example, you can try cookies or muffins made using whole-wheat flour or air-popped popcorn. Popcorn can be a choking hazard, so it’s not recommended that you give it to children under four. You can also add whole-grain cereal, berries or almonds to ice-cream or yogurt; they not only provide the fiber your child may need but also adds a nice taste. You could also try fiber gummies for kids to provide that extra boost. Having said that, there are a variety of health benefits associated with high-fiber diets. Food that’s high in fiber tends to be low in calories while also being rather bulky. Because of that, your child is more likely to have a healthier overall diet. This means that they won’t put on much when while they’re growing and stay within a healthy weight range. These kinds of foods are what’s known as energy dense, which means that there are fewer calories per volume of food. Because they take a lot of time to chew, your body has more time to register when you’re full; with that in mind, your child will be less likely to overeat. While much of the study on the relationship between fiber and cancer is relatively weak, much of it does point to fiber reducing cancer risk. Because of that, the likes of the American Cancer Society have recommended a high-fiber diet to reduce the long term risks of developing cancer. Many have suggested that this diet should start at a young age to ensure that it stays consistent throughout life. Fiber can help to slow the bodies absorption of sugar, which can have a significant impact on the development of diabetes. Because of that, it can help people with diabetes manage their sugar levels and improve them to a certain extent. It’s also been shown that a high-fiber diet can reduce the risk of developing diabetes long term, particularly type 2 diabetes. With all of the benefits that a high-fiber diet can have, it’s worth noting that you shouldn’t overdo it. While many children may not be getting enough fiber, adding too much too soon can cause intestinal gas which can lead to cramping and bloating. With that in mind, if you’re planning on adding more fiber to your children’s diet, it’s worth doing on a slow but steady basis.